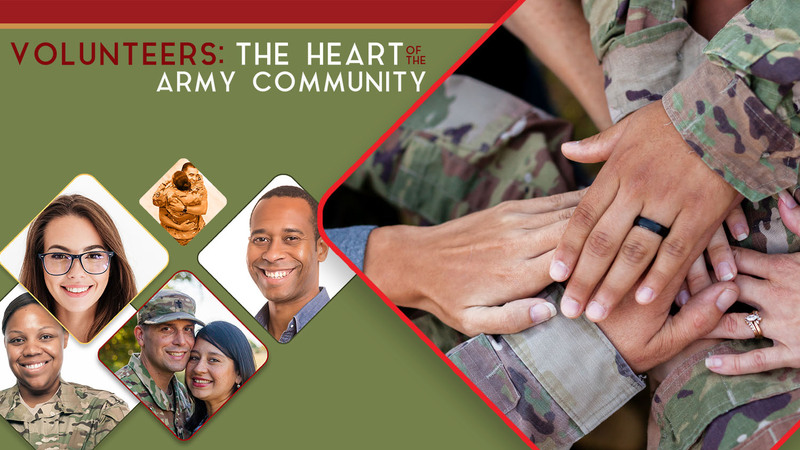 Date: Apr 26 2019, 6 p.m. - 9:30 p.m.
Join Army Community Service (ACS) for the annual Volunteer of the Year Ceremony! This is an evening for us to recognize our local volunteers for their valuable devotion and commitment to our community! Join in on this grand opportunity to celebrate your fellow community members for their contributions to the community. ACS will provide childcare for those who register through Parent Central or ACS. Army Volunteers: "Lifting spirits, touching lives"! A big thank you to our participating Sponsor! All attending volunteers must register in advance. Limited seating is available.